Argentina's 15-year debt battle is finally coming to an end. Its government reached an agreement with major American hedge funds that it had battled with since the country broke the record books and defaulted on $95 billion of debt in 2001. Argentina agreed to pay a group of hedge funds led by NML Capital and its owner, billionaire Paul Singer, $4.6 billion. That represents 75% of the claims that the hedge funds had sued Argentina for, according to a statement issued Monday by the mediator in the case, Daniel Pollack. Argentine officials, NML Capital and three other hedge funds signed the deal late on Sunday night after months of intense negotiations. "It seemed like a 1,000 years to me," Pollack told reporters Monday. "It took every hour of every day of my time...to reach peace between these warring parties." The agreement would open the doors to allow foreign investment into Argentina again. It has been effectively shut out of foreign capital markets since 2001 because it has refused to pay the holdouts. The hedge funds -- known as "vultures" in Latin America -- sued Argentina shortly after buying its defaulted debt and a battle ensued for 15 years. "It's a very important step," Mauro Roca, senior economist at Goldman Sachs, said of the agreement. "The country needs foreign investment to finance growth and development." Without foreign investment, Argentina's economy has stagnated and suffered mightily from inflation, which has risen over 25% annually in recent years. 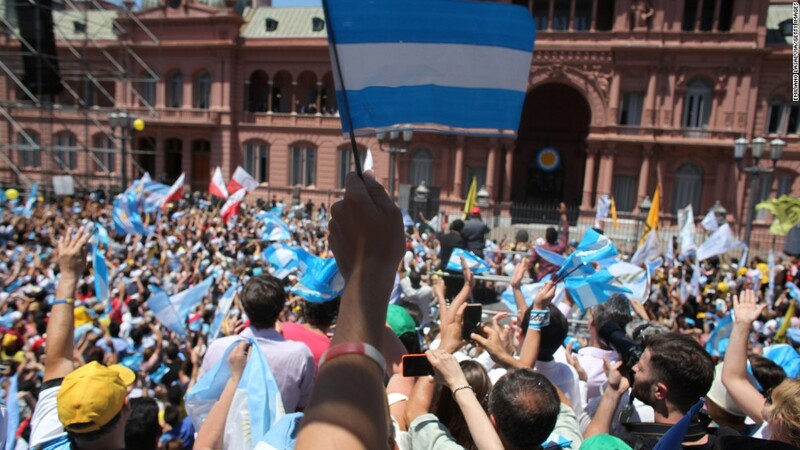 Argentina and the holdouts finally shook hands but there's still key hurdles to go over. Argentina's Congress must approve the deal by April 14. If the holdouts are not paid by that date, the deal is nullified. First, Congress needs to repeal two laws created under the former president, Cristina Fernandez de Kirchner, that forbade paying these hedge funds. Although it likely won't happen immediately, it's expected that Congress will repeal the laws and approve the deal. Argentina is considering raising the money to pay the holdouts by tapping the global bond markets, Pollack said. There's one more key hurdle that could fall by Tuesday. A New York judge overseeing the case, Thomas Griesa, is expected to lift an injunction that prevented Argentina from paying other bondholders until it reached an agreement with these holdout firms. Griesa signaled last week in a statement that he was heavily leaning towards lifting the injunction at a hearing on Tuesday. The country's new president, Mauricio Macri, came into office in December determined to end the 15-year battle. His cabinet almost immediately began negotiations after taking office. After Argentina battled the hedge funds for 15 years, Macri's team closed on a deal in under three months.